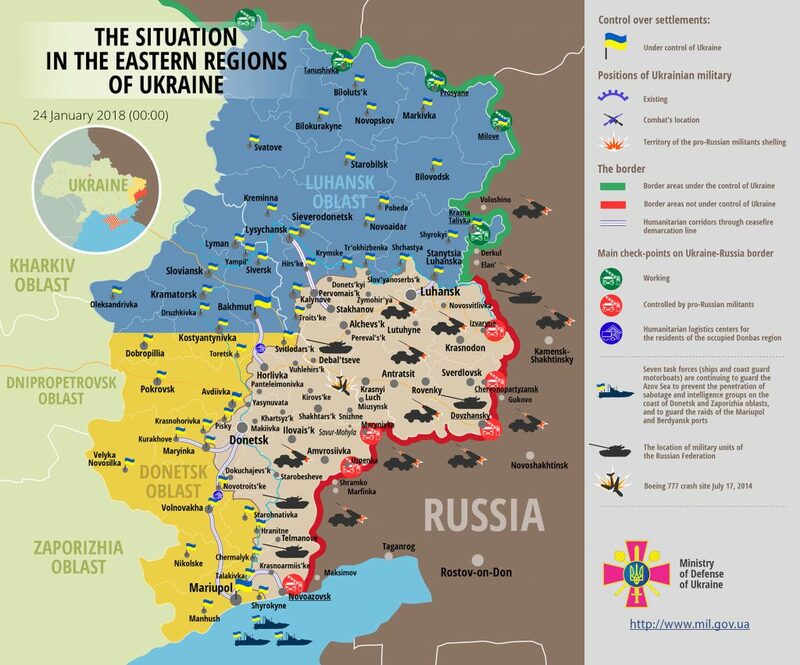 For the first time since long ago, it was absolutely calm in the conflict zone in eastern Ukraine yesterday. Russia-backed militants did not commit any ceasefire violations or provocations, reported Ukrainian Ministry of Defense spokesman on ATO Colonel Dmytro Hutsulyak at a press briefing at Ukraine Crisis Media Center. “Ukrainian troops, as usually, fully comply with Minsk agreements the ceasefire and took all the necessary measures to guarantee a sustainable ceasefire. Despite the calm in the frontline, Ukrainian servicemen stay alert and fully control the situation,” noted Col. Hutsulyak. Report on the military developments as of January 23 is available here. Interactive data on the shelling: chronology shelling chart and the interactive map.